Pope Francis give this warning during his General Audience on May 16, 2018, calling on the international community to resolve the situation in the Holy Land, two days after the inauguration of the US embassy in Jerusalem, which was accompanied by much bloodshed in Gaza. 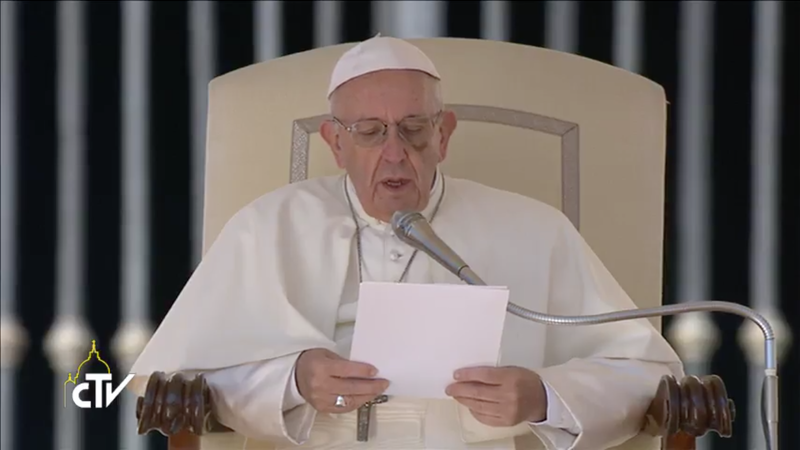 “I express my great sorrow for the dead and wounded and I am close to all those who suffer by prayer and affection,” he added from St. Peter’s Square. Clashes between the Israeli army and Palestinian protesters left at least 58 dead and more than 1350 wounded.